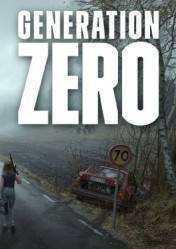 Generation Zero is an RPG, with high doses of the survival genre, in which we will find ourselves in a huge and vast open world in which hostile machines have taken control, in the purest Terminator style. Now, it is necessary to counterattack and unravel the mystery of what is really happening. Using battle-tested guerrilla tactics, you'll be able to attract, paralyze or destroy enemies in intense skirmishes. In addition, we can form small cores of resistance along with three other friends and counterattack together to defeat the machines. to achieve our goals and overthrow the machines, we must collaborate and combine our unique abilities and as we defeat the robots, we will need to get hold of the spoils they guard. All enemies are simulated persistently in the world and traverse the landscape with intent and purpose. When you manage to destroy a specific enemy component, be it armor, weapons or sensory equipment, the damage is permanent. Enemies will bear those scars until you face them again, whether it's minutes, hours or weeks later. The title incorporates all current advances in gameplay and graphics, such as day/night cycles with unpredictable weather, complex AI behavior, simulated ballistics, highly realistic acoustics, and an elaborate soundtrack that will help immerse you in the game. I`m looking for this game and I want to play it a lot! Steam 40 lvl account :) I like post apocaliptic games/books/film. And possibility to play it with friends, spend good time at the friday evening makes our free time more interesting and fun!